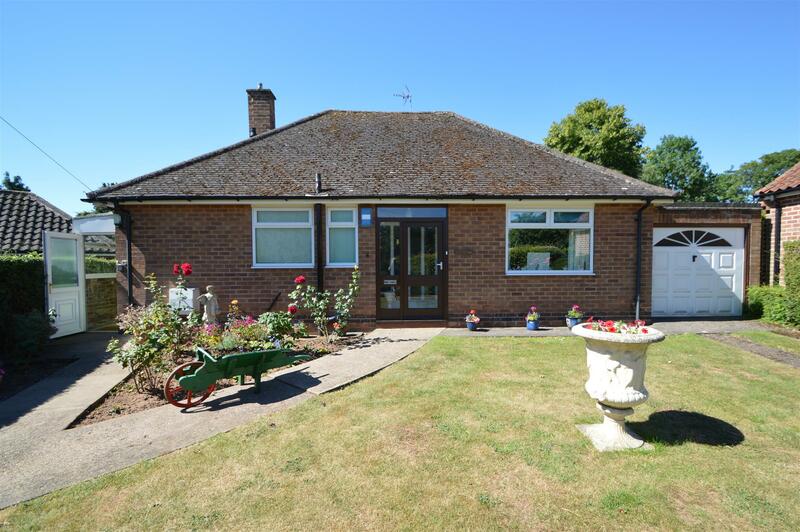 Benjamins are pleased to bring to the market this well-proportioned detached two-bedroom bungalow on the prestigious Private Road of Parkside. Offered to the market with no upward chain. The property is situated in a popular location of Keyworth, within walking distance to the local amenities including, shops, great schools, sports facilities and public transport services. Occupying a larger than average plot, the south facing rear garden requires viewing to appreciate. The property briefly comprises: entrance porch, entrance hallway, WC, cloakroom, living room, modern fitted breakfast kitchen, two double bedrooms and family bathroom. Whilst also benefiting from Upvc double glazed windows, gas central heating, single garage and front driveway providing space for car parking. The property is being sold with no upward chain and an internal viewing is highly recommended. 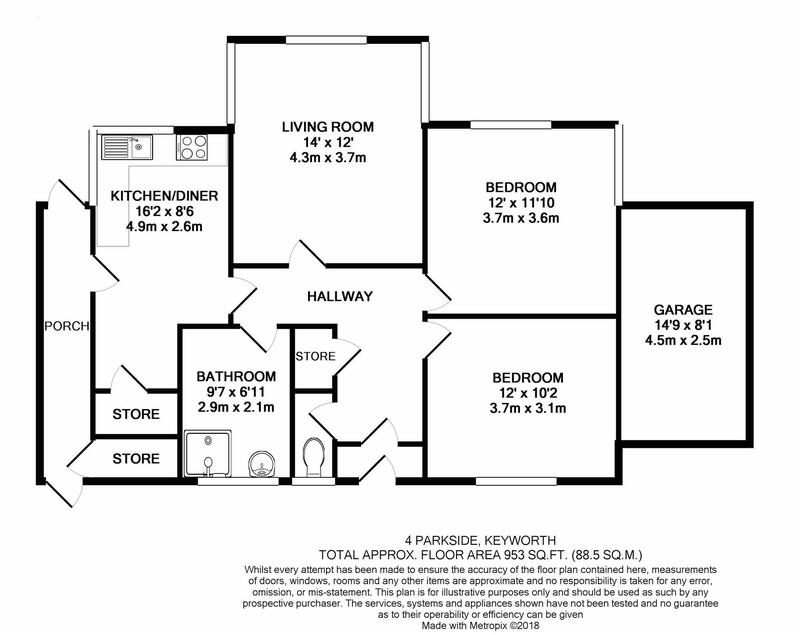 Three piece bathroom suite includes large enclosed shower, wash hand basin, low flush WC, single radiator, extractor fan, UPVC Double glazed obscure window. fully tiled walls. Fitted with a range of floor to ceiling kitchen units with under counter fridge, integral oven, an ceramic electric hob over, integral washing machine, rolled work surfaces over, eye level units with stainless steel sink unit with mixer tap over, radiator, glazed door to the side storm porch and double glazed window overlooking the rear garden. Low flush w.c and wash hand basin, obscure double glazed windows to the front elevation, tiled walls, vinyl flooring. With upvc double glazed window overlooking the rear garden, upvc double glazed window to side elevation, radiator, coving to ceiling, pendant light fitting. With upvc double glazed window overlooking the front garden, radiator, coving to ceiling, pendant light fitting. The property enjoys an excellent yet deceptive plot within this most established and sought after location, set back from the road behind a double gates. The front of the property is a lawned front garden area, with plants and shrubs in the surrounding borders, single garage and driveway provides off road parking. To the rear is a large enclosed south facing rear garden, mainly laid to lawn with variety of plants and shrubs in the surrounding borders.